Yesterday, Nobel Prize winner, Professor Heckman, gave a MAE distinguished speaker lecture on “Policies to Promote Social Mobility”. 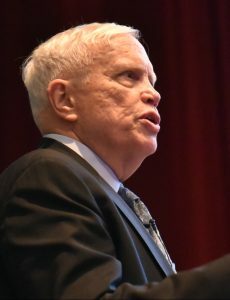 Professor Heckman is the Henry Schultz Distinguished Service Professor of Economics at the University of Chicago. He has conducted groundbreaking work with a consortium of economists, psychologists, sociologists, statisticians and neuroscientists showing that quality early childhood development heavily influences health, economic and social outcomes for individuals and society at large.